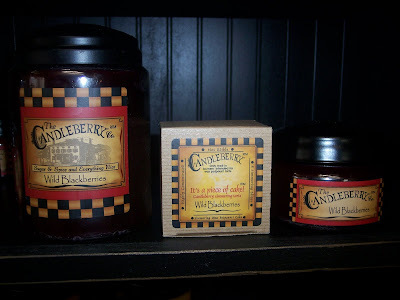 Backwoods Country Primitives Furniture & Goods: GET YOUR CANDLEBERRY CANDLES!! 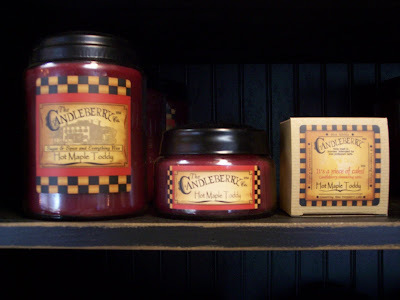 These highly scented candles are just absolutely awesome! 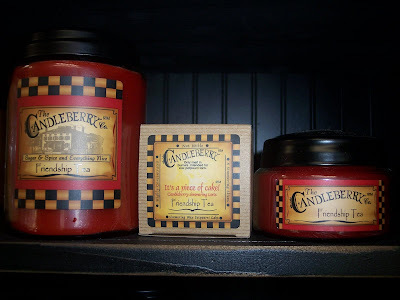 Candleberry candles are made in Kentucky and are so w-o-n-d-e-r-f-u-l !!!! They have quickly become a big favorite in our shop! Even a gift to treat yourself with! Once you try one you will be stuck on them! Candleberry Candles contain led-free wicks. The 26 oz. size jar is $22.99. The 10 oz. size jar is $12.99. Please contact backwoods.primitives@gmail.com for more information or to order. Wild Blackberries.......This scent is divine! Most customers that lean towards a "fruit" scent really love this one! Oh my!!! Honey Buttered Rolls!!! This one is so true to it's name plus more! 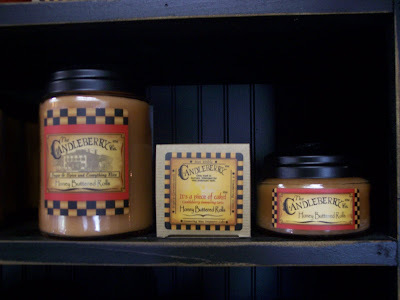 Smells like fresh baked rolls with a sweet buttery aroma.....you detect a hint of cinnamon too! Hot Maple Toddy.....Yummy!....Where's the spoon?.......Can I eat it?......MMMMM! Are just some of the reactions to this #1 selling scent! NEVER EVER LEAVE A BURNING CANDLE UNATTENDED!!! EVER!! !